Stroke Prevention Centers on Two Key Factors! 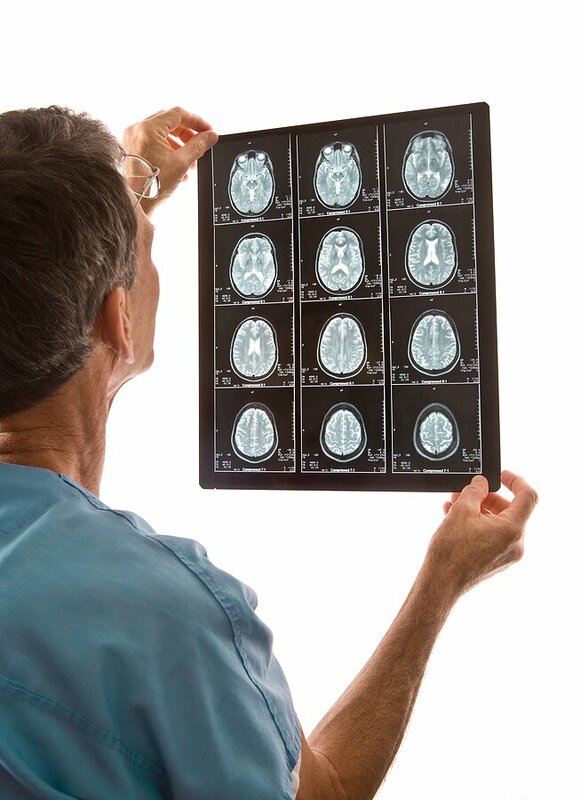 Learning how to address two key factors could make a big difference in stroke prevention. Since stroke is the number one cause of adult disability and the third leading cause of death in the United States, addressing this issue of stroke prevention could be the difference between life or death and permanent disability or significant recovery. The health of your cardiovascular system is just as important to brain health as it is to heart health. If you have a blockage in one of the arteries of the heart we call it a heart attack. If that same blockage occurs in the brain it’s a stroke. In reviewing both the uncontrollable and controllable risk factors for a stroke, it’s quiet clear that the health of your endothelium and its ability to properly produce nitric oxide can play a critical role in stroke prevention. Because the number one risk factor for a stroke is high blood pressure and the blockage that causes the stroke is many times related to a blood clot. Address These Two Risk Factors for Stroke Prevention! High blood pressure increases your stroke risk 4-6 times. It’s the number one risk factor for a stroke and you have the power to positively impact this area. Addressing this issue alone would make a major impact on stroke prevention. According to the American Heart Association’s website 87 percent of all strokes are ischemic strokes. An ischemic stroke occurs when a blood clot forms in the bloodstream. This blood clot then lodges within an artery of the brain causing a blockage. This blockage reduces the necessary blood flow to that section of the brain leading to damage or death to those brain cells. The amount of damage determines the severity of the stroke. As you can see by these two specific factors, stroke prevention really centers on addressing high blood pressure and reducing the potential for the formation of blood clots. Your body does this naturally through nitric oxide. Nitric Oxide is Key to Stroke Prevention! The 1998 Nobel Prize in Medicine was awarded to three American researchers who discovered how the endothelium (which lines all of your cardiovascular system) produces a gas called nitric oxide from the amino acid L-arginine. Outside your body nitric oxide is considered an environmental pollutant. Inside your body nitric oxide is the master signaling molecule of your entire cardiovascular system. Nitric oxide is your body’s most powerful vasodilator to relax the smooth muscle of your vascular wall to properly control blood pressure. This improves blood flow and directly addresses the number one risk factor for strokes. Additionally, your endothelium is a critical component in the regulation of your blood pressure by controlling the response of your vascular wall to the changing pressures within your cardiovascular system. Nitric oxide, when at therapeutic levels in the bloodstream, can repair damage to the endothelium and seems to be associated with the body’s ability to reverse and eliminate plaque formations. Plaque formations, which typically result when the endothelium is damaged, cause the inside of your vascular system to narrow, which can lead to high blood pressure and the increased risk for blockages. Nobel Laureate in Medicine, Dr. Louis J. Ignarro refers to nitric oxide as “the body’s natural cardiovascular wonder drug.” Learning how to naturally heal and nourish your endothelium to help it properly produce therapeutic levels of nitric oxide could be a huge factor in stroke prevention. Learn How to Nourish Your Endothelium for Stroke Prevention! The easiest and fastest way to nourish your endothelium for improved nitric oxide production is to use a properly formulated nutritional supplement. Even Dr. Oz is now talking about the importance of nutritional supplementation for improved cardiovascular function. Unfortunately, Dr. Oz only talks about the amino acid L-Arginine and leaves out another critical amino acid, as well as the necessary quantities needed to achieve a therapeutic effect. L-Arginine – This amino acid is critical because it is what your endothelium uses to create nitric oxide. However, you need to consume 4-6 grams of L-arginine at one time to be able to achieve a therapeutic increase in nitric oxide. L-Citrulline – This amino acid is considered by vascular researchers to be just as importance as L-Arginine. You need to consume 200 to 1000 mg to have a therapeutic effect. The reason why L-Citrulline is so important is that it recycles L-Arginine to turbo charge the production of nitric oxide over a longer period of time. Additionally, L-Citrulline provides an alternative pathway for the production of nitric oxide when the enzyme arginase is present. Arginase destroys L-Arginine and some population groups such as African Americans have larger quantities of arginine in their bloodstream. This can negatively effect nitric oxide production if L-Citrulline is not part of their diet. Various Antioxidants – Whenever your body produces energy through aerobic respiration free radicals are formed. Free radicals are unstable molecules that can cause cellular damage. Free radicals will also negatively effect nitric oxide to limit its signaling and healing capacities. Antioxidants are molecules that can stabilize free radicals to prevent cellular damage and their negative effects on nitric oxide. It is estimated that 750,000 Americans will experience a stroke this year. Yet according to the National Stroke Association “… 80% of strokes are preventable!” While they list other methods for stroke prevention I hope this information will help you to see and understand the importance of a healthy endothelium and its ability to properly produce therapeutic levels of nitric oxide. This really is a viable way for stroke prevention as well as improved cardiovascular function. If you found this information helpful then please share this on Facebook and Twitter. You can also contact me directly if you have questions or need a recommendation for a high quality nutritional supplement that can help to properly nourish your endothelium for improved nitric oxide production. Together we can work to save a million lives by helping to educate others about endothelial cell health and how therapeutic levels of nitric oxide can directly address two of the greatest risk factors for stroke prevention. The information contained in this article is for general information purposes only and never as a substitute for professional medical advice or medical exam. The information about stroke prevention has not been evaluated by the Food and Drug Administration and should not be used to diagnose, treat, cure or prevent any disease without the supervision of a qualified medical doctor.